Spark Club | Sparking Ideas for Good! We were hoping to have a few new posts inbetween, alas we are too busy connecting people still and still we are doing good better. It is time we meet together and really start changing the world around us. What do you say? Let’s get together and let’s start getting things together and really making things happen. Spark Club was started to start joining all the great communities together. It was designed to help the people who had some great ideas really get the help they needed and also get some other really great people involved too. Is there a preson incharge? Finally NO! We live by these rules, no one pays so no one owns it. No one is in charge so there are no rules and no organization to it. We are all here because we want to create something bigger and better for the greater good. We don’t need people to hand everything to us, we need people to help each other. We know we can all accomplish more especially if we combine our skills. What happens when the community comes together, when the teacher talks to the artist who talks to the engineer who talks to the student? What happens when the corporate drone talks to the freelancer who then talks to the artist? What do all of these peole have in common? Let’s find out. We are all striving to do the best we can. This is where we all come together and really make something magical happen. This is truly the place for people to let loose and really save the world. Come in and join the great conversation you will have. It’s been a long time since the folks have gathered. We started so many good things, and changed so much. Then…the music faded. 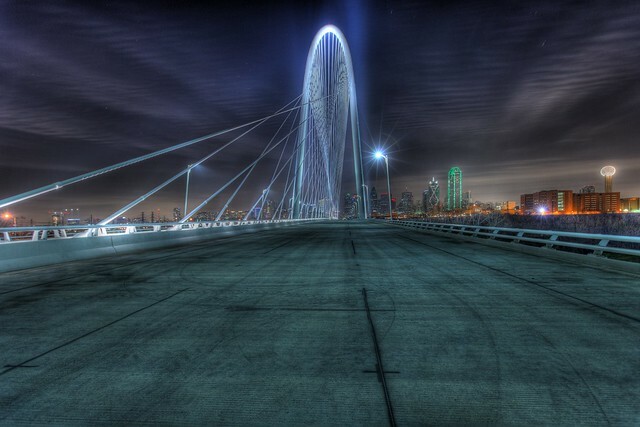 People have kept things going and there are so many cool things going on here in Dallas. We have to connect share and help each other grow. We all remember Spark Club, we are still trying to keep the dream alive, on our own. It’s about time to come together and connect. However, many changes have taken place and as always with a change comes growth. What is the growth you ask? We still have some of the same good people we know and love, but new people have come into the circle. This doesn’t mean we’ve stopped there, we’re still growing and still evolving into doing good. As always the people listed aren’t the only ones these are just the few to highlight for now. We are also asking more of the question of what have you done lately? We’re watching TEDxSMU and loving what they say; are there things we can do to keep the great ideas going? We have the continuing support of Pecha Kucha and the dynamic duo of Sarah Jane Semrad and her partner in crime Brian Murphy. We have much in store planned together for that. Finally for this post but not for who is out there we have our team members all contributing and also of course still part of the fun we have Super Bob, Bob Wright, still leading some of the light for us. and what we are up to. So let’s get started and start changing the world. We will start updating this blog more often and start putting up a calendar of events as we go as well. It’s hard to find all the things going on around us and we invite you to let us know also what is going on, big or small. After the brainstorm, it’s the after-party! 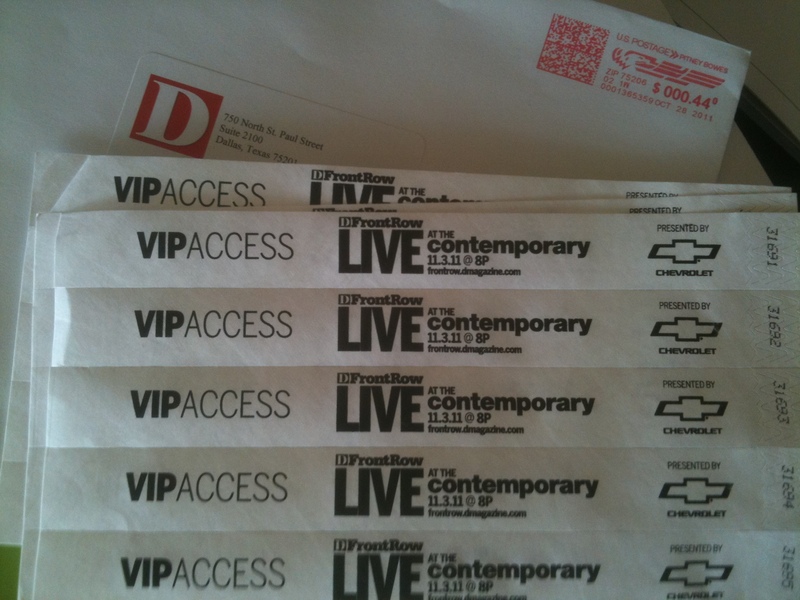 Thanks to our friends at D Magazine, our special Thursday evening just got even better. We’ve gotten our hands on VIP wristbands to FrontRow Live and will raffle off to anyone who wants to keep the sparks flying after SparkEd! There will be DJs, dancing, drinking, live theater, screen-printing, coffee provided by The Pearl Cup, and food trucks. You can check out the full menu of shenanigans here. It promises to be going strong till midnight at the Dallas Contemporary – only a few turns away from the Museum of Nature & Science. Should be a great way to keep the energy going, so don’t forget to RSVP at sparked.eventbrite.com. In exactly one week, Spark Club returns with the biggest brainstorm of the season! 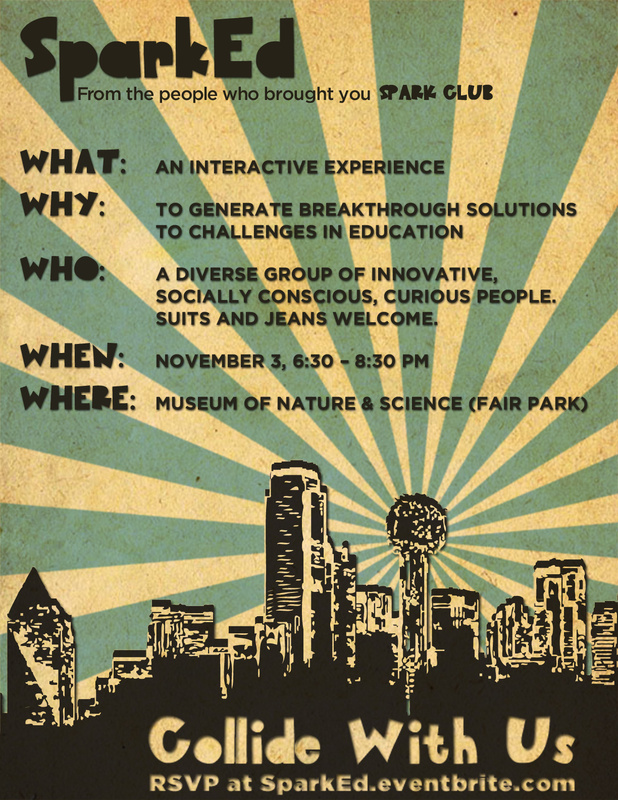 On the evening of November 3, we’ll take to the Electric Theater and invade the exhibit halls of Dallas’ Museum of Nature & Science to to tackle the challenges of three local groups that focus on education. On The Border has generously donated hors d’ oevres, and we will have a cash bar. 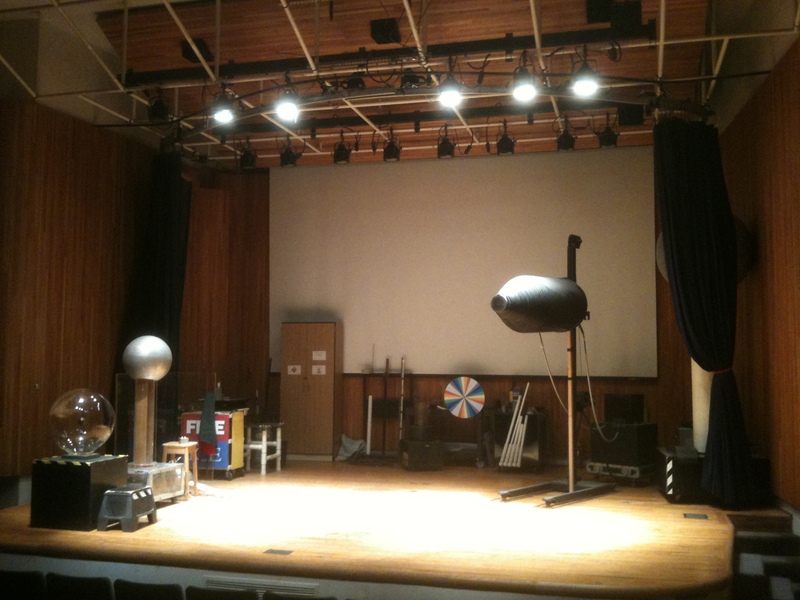 The perfect venue to kick off a Spark Club event: the Electric Theater at Dallas Museum of Nature & Science. Dallas Kids First: A non-partisan group of concerned citizens and parents that believes every kid in Dallas deserves access to quality public schools, Dallas Kids First is dedicated to finding, supporting, and electing great school board leaders. Group Excellence: A for-profit entity that describes itself as “a mentoring company that tutors,” Group Excellence strives to motivate and inspires students to achieve excellence. educateTX: This non-profit start-up is developing a web platform that breaks down local education policy into digestible chunks and enables citizens to surface, discuss, and organize around the issues they feel are most important. 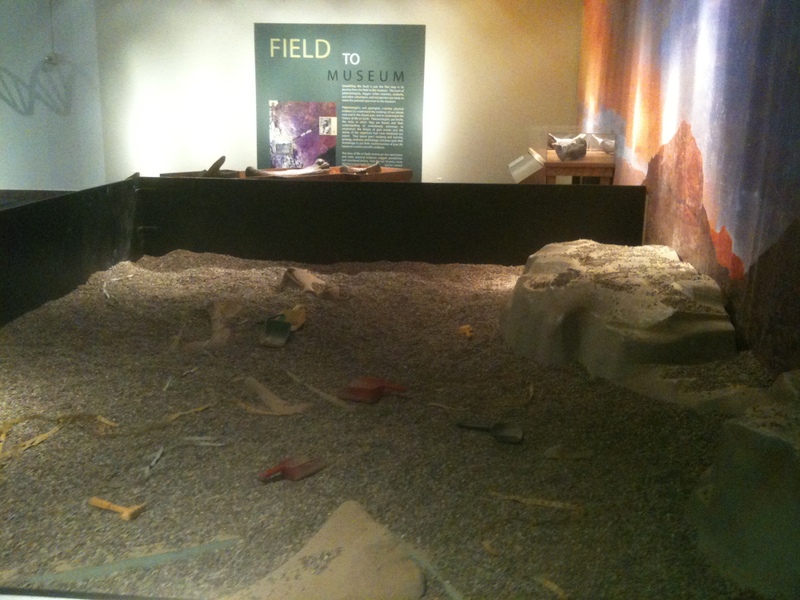 Just one of three spaces where we'll dig for great ideas during our breakout brainstorm sessions. After these organizations briefly present their unique challenges, audience members will then disperse throughout the Museum exhibits for rapid ideation sessions in search of solutions to these challenges. We are excited to be working with Nathan Huntoon and the SMU Innovation Gym, which has led similar exercises with the likes of Lockheed Martin and National Instruments. Check out Nathan’s TEDxSMU talk here to get an idea of what they do. Why? Because we know that true solutions come from the ground. True solutions come from un-like-minded individuals. True solutions begin with brainstorming and ideation. Join us! We think you’ll impact our community. And, we think you’ll have fun! If you haven’t done so yet, register now at http://sparked.eventbrite.com/. Introducing … SparkEd! Ideas collide November 3. Several forces, including Spark Club, have helped push education into the forefront of local conversation. Today, we’re launching a new gathering centered on this cause. We call it SparkEd. We’ll keep the same vibe as any other Spark Club event, only a bit more participatory. For our inaugural event on November 3, you can choose to participate in one of two ways: as a presenter or as an ideator. Presenters will be given five minutes to share a challenge facing their organization (read below for more on how to apply to be a presenter). After the presentations, attendees will be invited to rapidly ideate possible solutions together with the guidance of a moderator. We’ll have some help in this department from Nathan Huntoon, Director of the Innovation Gymnasium at SMU’s School of Engineering. The hope is that this format engages the crowd in generating breakthrough ideas for the presenting organizations (and ultimately for kids). If you’d like to participate as an ideator, just RSVP at SparkEd.eventbrite.com. Of course, if you’d like to attend as a curious observer, you’re welcome too! While tickets are free, we ask that you please consider making a donation to help cover the costs associated with producing the event. If you are courageous enough to candidly share a challenge and interested in getting some of Dallas’ most creative minds on the case, the next step is to read below and email contactsparked@gmail.com with the information requested by October 13. After receiving your response, we’ll contact you with any clarifying questions and inform selected presenters by October 24. 3. CONTEXT: Please provide as much context as needed to adequately explain the challenge facing your organization. Why is it important for you to solve this problem? How have you previously tried to solve it? What obstacles or constraints appear to remain? 4. THE CHALLENGE: Please phrase your question using this format: How do we _______, given (CONSTRAINT #1) and (CONSTRAINT #2)? Try to avoid using money as a primary constraint. Context: Like most nonprofits, we’re constantly seeking the support of volunteers and donors. When someone does express interest, we typically add that person to a contact list. This person is then alerted to volunteer and/or donor opportunities. We know there is tremendous human capital to be cultivated within this pool of supporters, yet we don’t have a method for truly unleashing their potential beyond this current way of operating. We often feel we don’t have the capacity to build deeper relationship with supporters. Perhaps we also fear some loss of control that would come from a greater level of supporter involvement. The Challenge: How do we more fully engage existing supporters in creating value for our organization, given limited volunteer management capacity and experience? Spark Club is a network of leaders, artists, thinkers, and social entrepreneurs gathering in creative, highly conscious networking events to meet, greet, share and ultimately SPARK ideas for GOOD! John Reas on YES, We’re Back!